Holy crap that is gorgeous. I really want to make one now! Damn work. oh! 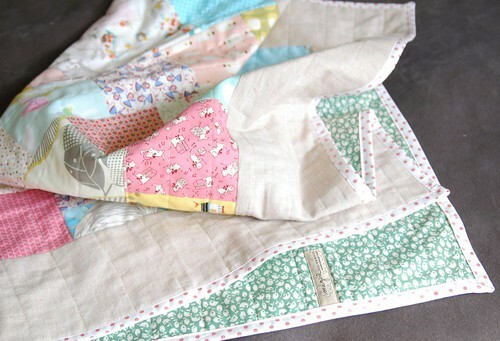 i spot some of my fabric favorites in the that little beauty. can't wait to see what else your sewing hands have been up to during cricket season. it's football for me. football makes me want to swat the tv with a hammer. and sew. and sew. and sew. that little mae of yours! how fast she is growing. I adore the spotty binding. Just gorgeous. Your quilts made me drool! They are all so gorgeous and beautiful!! 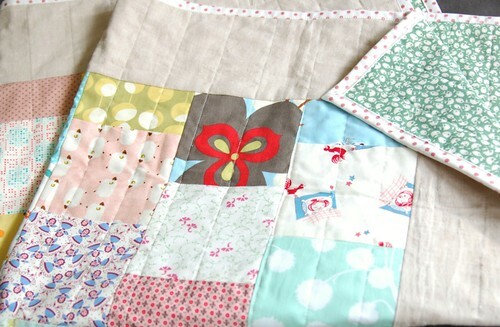 I have a question, do you use batting for your quilts? 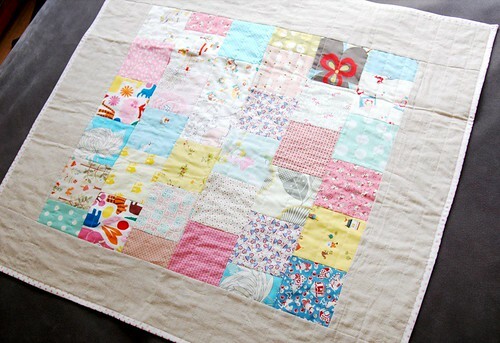 I like quilts but I live in the tropics and wonder what will it be like without batting. Will you have a tutorial on your quilts for us? thanks valerie! i do use batting but, because we live in australia where it is also pretty hot most of the year, i use quilter's flannel as a batting. it's thick enough to give the quilts a nice weight but still be light enough to use year round. and i wish i could do more tutorials but my time just does not permit these days, i'm afraid!